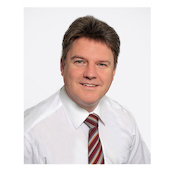 Stefan Eisenkohl is the Head of Sales and Marketing at Baumer Inspection GmbH and joined Baumer in 2018. He has a solid background in mechanical and product engineering. With more than 20 years of experience in global sales of automation systems as well as handling machines he has a clear view on customer needs throughout various business segments. To know the challenges of the production process and support the customer with valuable information based on the automated optical inspection is the goal from Mr. Eisenkohl. Valuable information is in his understanding to classify the recognized defects to the process step which caused it. These Information will support the user to react directly to false event and could be used to improve the process and make it more efficient.